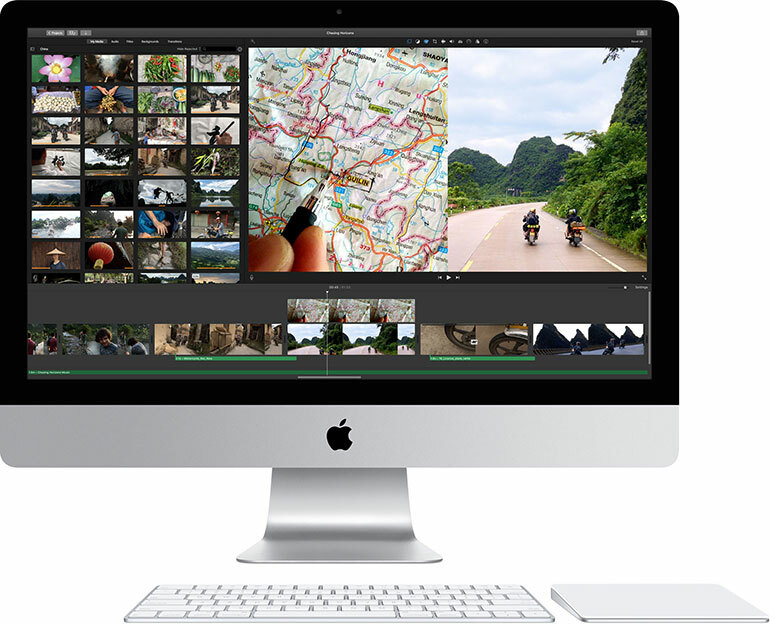 The iMac (Retina 5K, 27-inch, Late 2015) is a great machine for professional photography. I’ve been using it for two months and the crisp, high resolution display still impresses me. It renders text as if it were printed on a page. After reading Lloyd Chambers’ reviews which described the iMac 5K “as an awesome display that includes a free computer” and the “fastest Mac money can buy,” I was sold. My previous computer was a Mac Pro tower (Mid 2010) with a 27-inch Cinema display. A couple of years ago I upgraded the boot drive to a faster solid-state drive (SSD). This made everything feel faster for a while but it was time to upgrade. If you can squeeze 5 years out of a computer for professional work, you’re doing pretty well. My only complaint about the iMac is the lack of disk storage. The largest SSD you can purchase in Canada is 512GB. I would have preferred 1TB SSD but that option wasn’t available. You’re insane if you don’t go with an SSD for your boot drive. A 7200-rpm hard disk is just too slow. 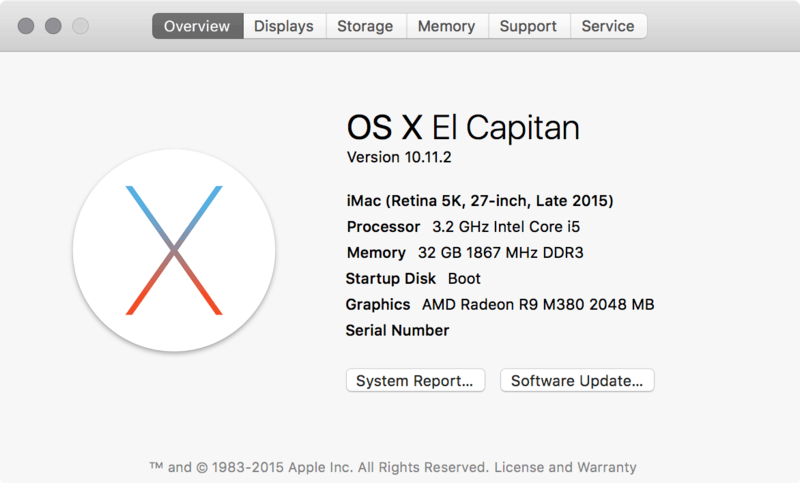 The 2015 iMac has an SSD drive that is 3X faster than the 2014 iMac and 30% faster than the latest Mac Pro. I went with 32GB of memory. You can purchase up to 64GB of memory from third party vendors like OWC. To make up for the lack of internal drive storage I went with a Drobo 5D. Right now I have four 4TB drives with 1 drive bay empty. This setup provides plenty of storage for photos, iTunes media and Time Machine backups. I have it set up for dual disk redundancy – less drive space but I’m protected against drive failures. If one drive goes down I can hot swap it for another. If the entire Drobo goes down with multiple drive failures I have another backup using SuperDuper. 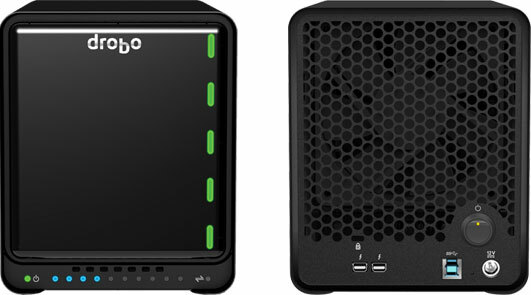 Drobo 5D drive enclosure – front and back view. A lot of people have complained in the past about Drobo’s quality. They offer an extended warranty and support in the form of Drobocare for $100/year which I’ll be signing up for. If you really care about your data then purchase the support and simply write it off as a business expense. My Drobo setup uses a Thunderbolt cable and transfer speeds are great. It takes about 8-10 seconds for the drives to spin up and for the Drobo to mount. The fan and the drives can be a little noisy but this is normal for any multiple drive enclosure. By comparison, the iMac and internal SSD is silent when it is running. I’m using Apple’s latest keyboard and trackpad. I love the tiny footprint of the keyboard but I miss the extended keypad. The new trackpad is bigger than the previous version and includes Force Touch which I never use. The best feature of both accessories is the rechargeable battery. After two months I haven’t charged the keyboard and it is at 51% battery. I use the trackpad a lot more and have only had to recharge it twice. I love that I don’t have to keep a stack of AA batteries around. My old Apple trackpad devoured 24+ batteries each year. Tools & Toys has a great review of Apple’s Magic Keyboard and Magic Trackpad 2 if you’d like to know more. The display is stunning. At 14.7-megapixels, I can almost view entire images from my Canon 5D Mark II in Lightroom. The extra screen real estate is great for other tasks like web development where multiple windows help you work more efficiently. The colour gamut is also improved over the previous 5K iMac which means I can edit photos more accurately in Lightroom. 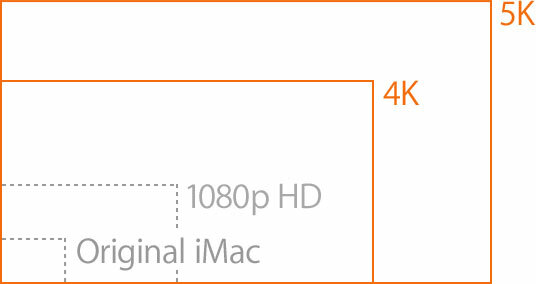 So where is the downside to a 5K display? Working with small DPI images in Photoshop is frustrating they are so tiny! Most websites don’t have high DPI images either which make their photos look blurry. Still, I’ll take the extra pixels and resolution and wait for the rest of the world to catch up.